The Italian American Writers Association is celebrating its 25th Anniversary. Since 1991, IAWA has given voice to writers through its literary series every 2nd Saturday of the month. Readings begin with an Open Mic: IAWA-East is held even months at Sidewalk Café and IAWA-West continues at Cornelia Street Café on odd months. WHO: Peter Carravetta, D’Amato Professor at Stony Brook University, has published eight books of criticism, including The Elusive Hermes: Method, Discourse, Interpreting (2013), founded a journal, Differentia (1986-1999), co-edited several anthologies, and written seven books of poetry, four in Italian and three in English: Existenz (Chicago, 1976), The Sun and Other Things(Montreal, 1997), and The Other Lives (Toronto, 2014). Additionally, he has written eight books of criticism, and edited several journals and anthologies including Differentia, review of italian thought (1986-1999; now retrievable through Academic Commons). Born in Lappano, Sicily, Carravetta spent much of his youth growing up in the Bronx. He is also a co-founder of IAWA. Marianne Leone is an actress, screenwriter and essayist. Her essays have appeared in the Boston Globe, Post Road, Bark Magazine, Coastal Living and WBUR’s Cognoscenti blog. Her memoir, Jesse, A Mother’s Story Of Grief, Grace And Everyday Bliss, was published by Simon & Schuster in 2010. She had a recurring role on HBO’s hit show, “The Sopranos” as Joanne Moltisanti, Christopher’s mother. She has also appeared in films by David O. Russell, Larry David, John Sayles and Martin Scorsese. Her memoir Ma Speaks Up from Beacon Press was published by Beacon Press this year. This entry was posted in Uncategorized on June 12, 2017 by Lisa Paolucci. WHO: Olivia Kate Cerrone’s Pushcart Prize-nominated fiction won the Crab Orchard Review’s Jack Dyer Fiction Prize. Her work has appeared in various publications including The Huffington Post, The Rumpus, The Paterson Literary Review, VIA, and Italian Americana. The Hunger Saint, a historical novella about the child miners of rural Sicily, was published by Bordighera Press in 2017. Nino Provenzano was born in Sicily, and lives in the United States. He is Vice President of Arba Sicula. 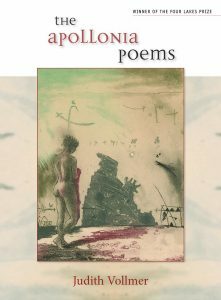 He has published three collections of bilingual poetry, Sicilian-English. His latest, Footprints in the Snow, was presented at St. John’s University September 2016. Provenzano has collaborated with film-makers Spike Lee and actor/director John Turturro for translating English into Sicilian. Our Mission: IAWA promotes Italian American literature by encouraging the writing,reading, publication, distribution, translation, and study of writing by Italian American authors. The three rules of IAWA: Read One Another, Write or Be Written, and Buy Our Books. This entry was posted in Uncategorized on May 19, 2017 by Lisa Paolucci. WHO: Mark Chiusano is the author of Marine Park, which received an honorable mention for the PEN/Hemingway Award. 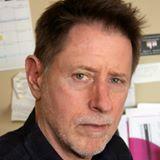 He is a columnist for Newsday and amNew York, where he writes the daily newsletter amExpress. His stories and essays have appeared in Guernica, Harvard Review, and The Atlantic, and he was born, raised and lives in Brooklyn. Paul Salsini is a veteran Milwaukee journalist who now teaches at Marquette University. His first novel, The Cielo: A Novel of Wartime Tuscany resulted in “A Tuscan Series,” five novels and collections of short stories that follow the characters to 2000. He received the Sons of Italy 2011 Leonardo da Vinci Award for Excellence in Literature. This entry was posted in Uncategorized on April 11, 2017 by Lisa Paolucci. Friday • April 7, 2017 • 6:00 PM Reception to follow. Books available for purchase. This entry was posted in Uncategorized on March 16, 2017 by Lisa Paolucci. WHO: Stephen Massimilla is a poet, scholar, professor, and painter/photographer. 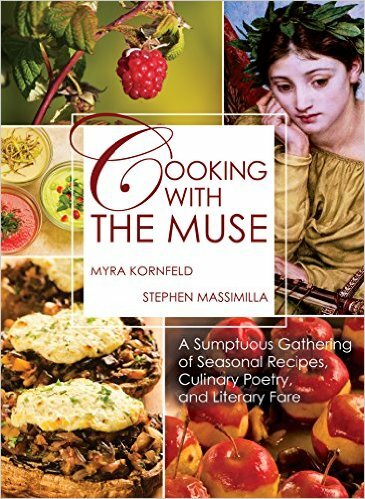 His 500- page co-authored volume Cooking with The Muse: A Sumptuous Gathering of Seasonal Recipes, Culinary Poetry, and Literary Fare (Tupelo, 2016) won the New England Book Award and a USNews Best Book Finalist Award. Acclaim for his other books includes the SFASU Press Prize for The Plague Doctor in His Hull-Shaped Hat; the Bordighera Prize for Forty Floors from Yesterday; the Grolier Prize for Later on Aiaia; a Van Rensselaer Award, selected by Kenneth Koch, and other honors. He teaches at Columbia and The New School. HOSTING: Marisa Frasca, author of Via Incanto (Bordighera Press). This entry was posted in Uncategorized on March 13, 2017 by Lisa Paolucci. WHO: Marisa Labozzetta is the author of the novels, Sometimes It Snows in America and Stay With Me, Lella; the collection of short stories, At the Copa; and her latest collection of linked stories, Thieves Never Steal in the Rain. She is a two-time Eric Hoffer Award winner, a John Gardner Fiction Book Award Finalist, and a Pushcart Prize nominee. A Brooklyn native, she lives in Northampton, Massachusetts. Tim Tomlinson is a co-founder of New York Writers Workshop, and co-author of its popular text, The Portable MFA in Creative Writing. He is also the author of Yolanda: An Oral History in Verse, a chapbook, and the poetry collection, Requiem for the Tree Fort I Set on Fire. A collection of short fiction, This is Not Happening to You, will appear in September 2017. This entry was posted in Uncategorized on February 21, 2017 by Lisa Paolucci. Annie Rachele Lanzillotto’s memoir, ‘L’ is for Lion (SUNY Press), was a finalist for the Lambda Literary Award. Her debut poetry collection is titled Schistsong (Bordighera Press, 2015). Lanzillotto narrated both audiobooks, which are available on Audible.com. Listen to her new blues album, Swampjuice. Hosting: Bob Agnoli, IAWA Board Member and author of Edge. Our Mission: IAWA promotes Italian American literature by encouraging the writing, reading, publication, distribution, translation, and study of writing by Italian American authors.. The three rules of IAWA: Read One Another, Write or Be Written, and Buy Our Books. This entry was posted in Uncategorized on February 2, 2017 by Lisa Paolucci. WHO: Brian Fanelli is the author of two full-length poetry collections, Waiting for the Dead to Speak (NYQ Books), All That Remains (Unbound Content) and the chapbook Front Man (Big Table Publishing). Brian’s work has been twice nominated for a Pushcart Prize and the Working Class Studies Association’s Tillie Olsen Creative Writing Award. His poetry has appeared in several publications, including The Los Angeles Times, World Literature Today, LABOR, Boston Literary Magazine, Portland Review, Oklahoma Review, Kentucky Review, and elsewhere. This entry was posted in Uncategorized on December 19, 2016 by Lisa Paolucci. WHO: Gina DiRenzi is pursuing a Master’s Degree in Urban Education and a certification in administration. She teaches high school English for NJCU’s University Academy Charter High School. 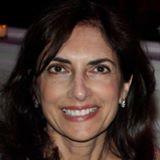 She has presented her work at various venues, including the Italian American Studies Association. Rebecca Poggiali wrote non-fiction and participated in many on campus reading events at New Jersey City University. Her writing has been published in ThoughtCatalog and NJCU’S literary journal, PATHS. In 2016, she received honorable mention for the Kathy Potter Memorial Writing Award for memoir and nonfiction. Marc Pollifrone studied screenwriting at TheFilmSchool in Seattle and completed UCLA’s Screenwriting Professional Program. He has presented his work in many venues and published in PATHs. He received the Kathy Potter Memorial Writing Award for memoir and nonfiction. This entry was posted in Uncategorized on November 28, 2016 by Lisa Paolucci. This entry was posted in Uncategorized on October 19, 2016 by Lisa Paolucci.